If you like your servings spicy and hot, curry recipes are the best options. 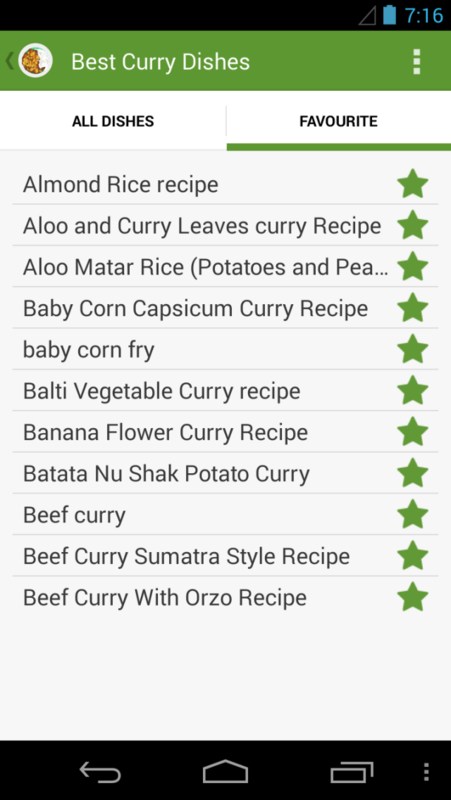 There are a variety of recipes – almost every vegetable can be effectively cooked into a curry. Now to say fish / chicken and mean curries those are a commonplace across the globe. 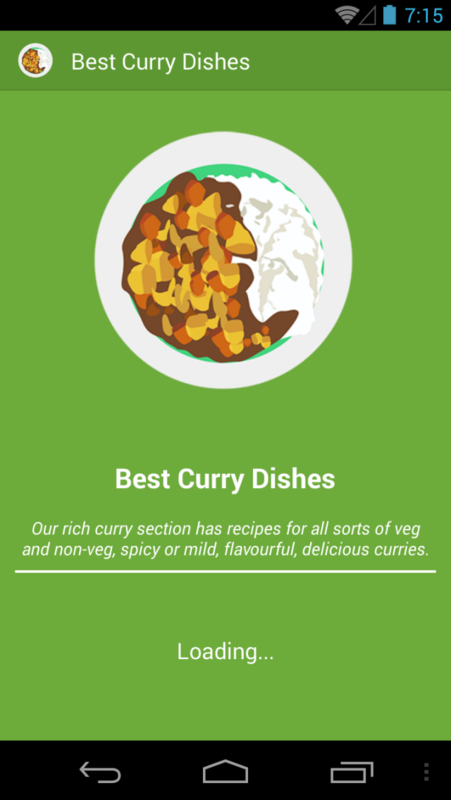 If you are looking for the best curry recipes, here’s a great list of platters to choose from. All recipes are easy to prepare and are tasty enough for every member of a household. 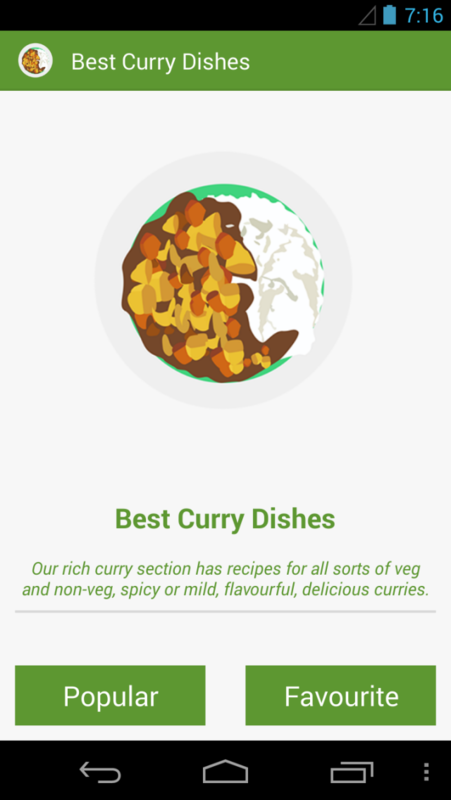 Best Curry Dishes is certainly an app made by a foodie. 1) Collection of Best Curry Dishes. 2) Favorites section for Best Curry Dishes you likes to try. Spices are fundamental to all curries. Subsequently, there are huge varieties of spices that can give that deliciously raw twist to the recipe. Cumin and coriander seeds are the most common among spices and there are a lot of herbs, seasoning, oil, fat, onion, garlic, ginger and other types of seasoning that goes into making of a perfect curry. It is always advised to use fresh spices for the best taste. One should also note that the curry is neither undercooked nor overcooking. Using the right quantity of oil, spices, water and other ingredients are necessary. Curries are heavy platters and are perfect for a lazy weekend dining table. While they are more popular in the winters, light curries can even ward of the extremes of summer months. Whether you are looking for a recipe of perfectly cooked lamb or turning some veggies into irresistible platters for your kids, curries provide ample options. 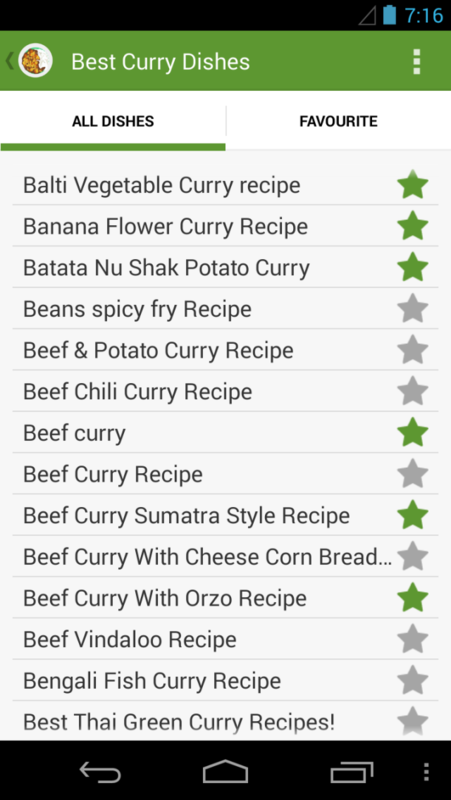 This app, Best Curry Dishes is for every homemaker who would like to bring in taste and health to the dining table. The recipes here have been brought together from across the globe and some are quite fascinating. 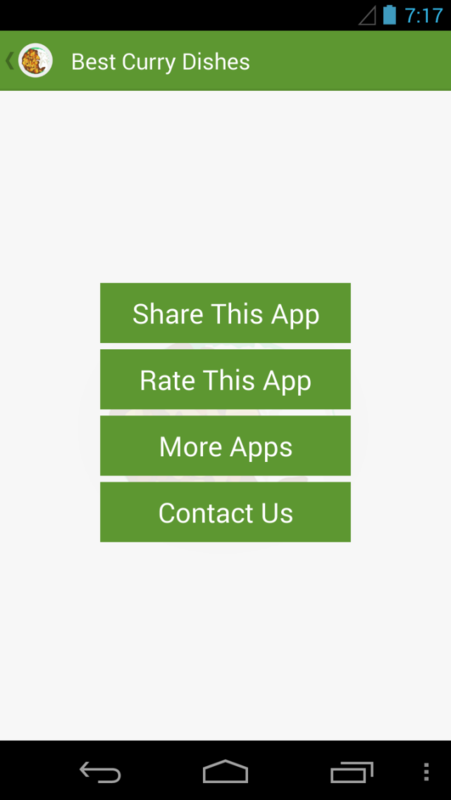 Download the app to know better!